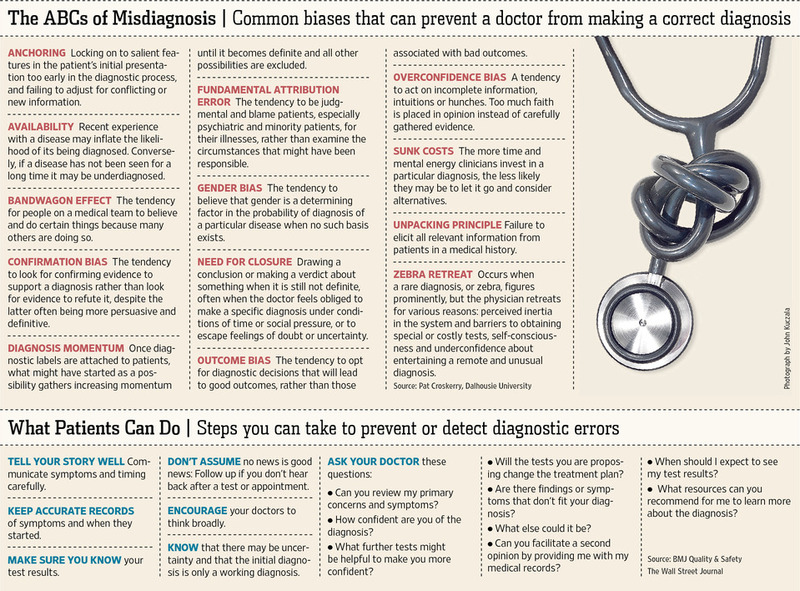 Misdiagnosis is the leading cause of medical malpractice claims. 160,000 patients suffer serious personal injury or wrongful death because of diagnostic errors every year. In her recent article “The Biggest Mistake Doctors Make” Laura Landro from the Wall Street Journal looks at solutions that are being developed by healthcare providers and various organizations to reduce misdiagnosis. New technologies as well a change of culture among doctors are part of the solution. The new healthcare law requiring multiple providers to coordinate care should also help in making sure patients receive a proper follow up. Additional studies such as the one undertaken by the institute of Medicine (See previous blog) or the Society to Improve Diagnosis in Medicine should also contribute to curb this alarming trend.